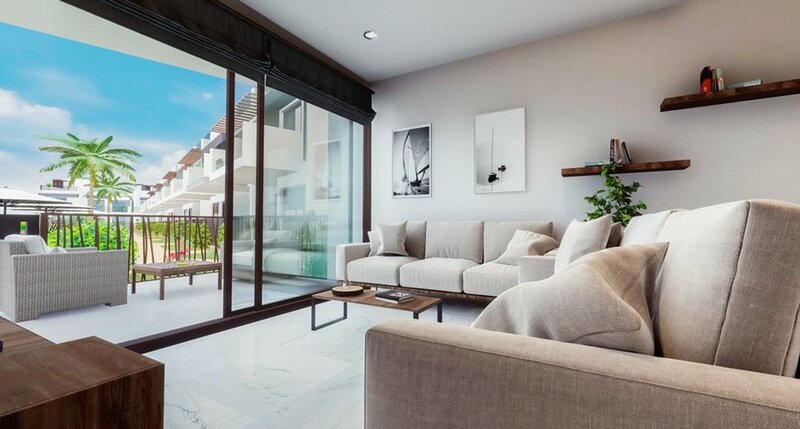 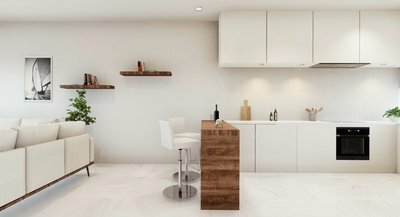 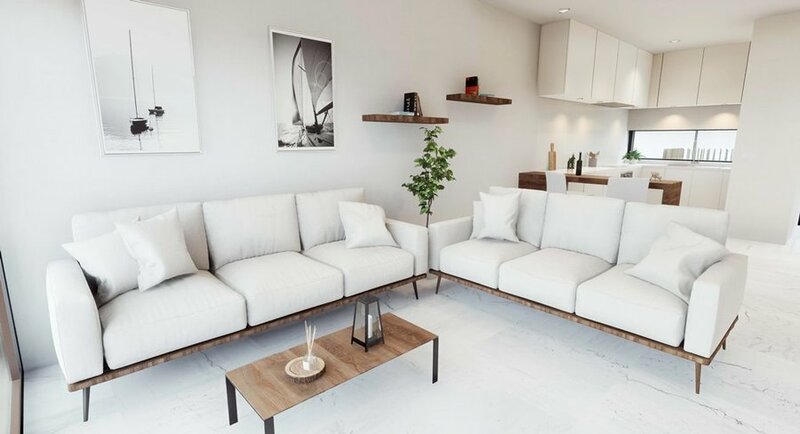 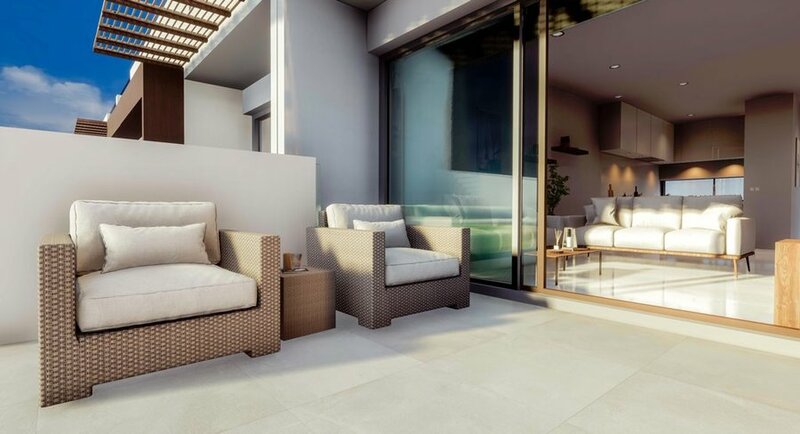 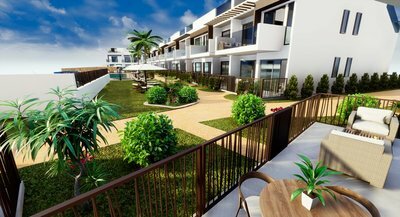 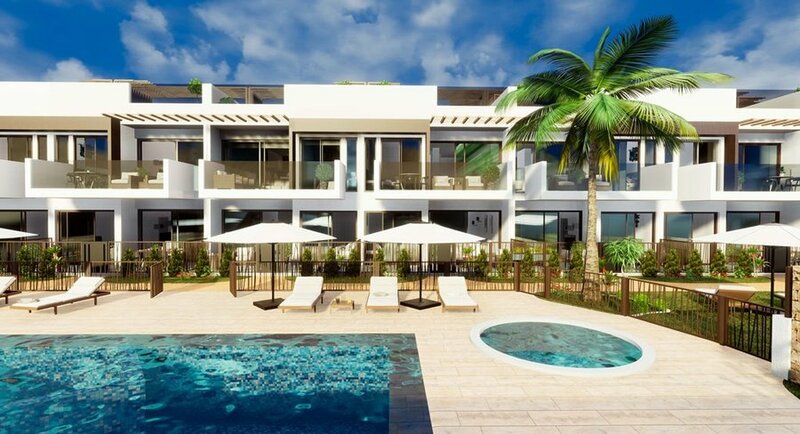 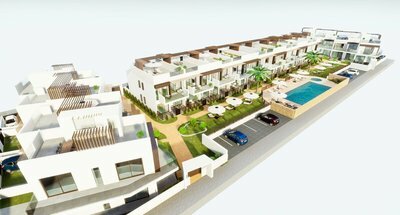 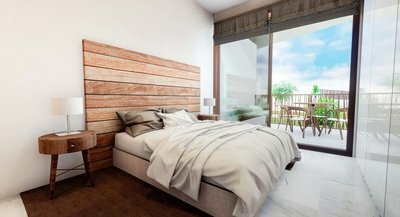 We now have available a selection of these stunning new apartments in Residencial Mirador De La Ermita in Dolores De Pacheco just on the edge of Roda. 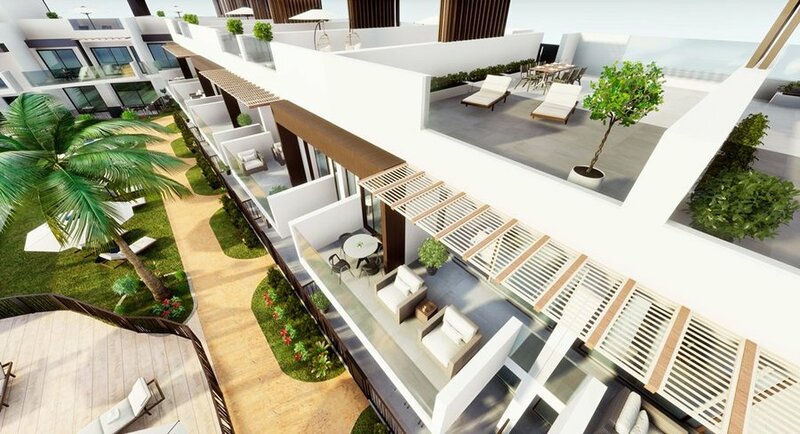 This exclusive complex of just 28 properties gives you the option of ground floor bungalow style properties with private gardens, or Penthouse properties with rooftop solariums. This listing is for the ground floor properties which feature a large open plan main living and dining area, with a modern fitted kitchen. From the main living space, you have access via the full height glass sliding doors to the outside terrace and private garden area. 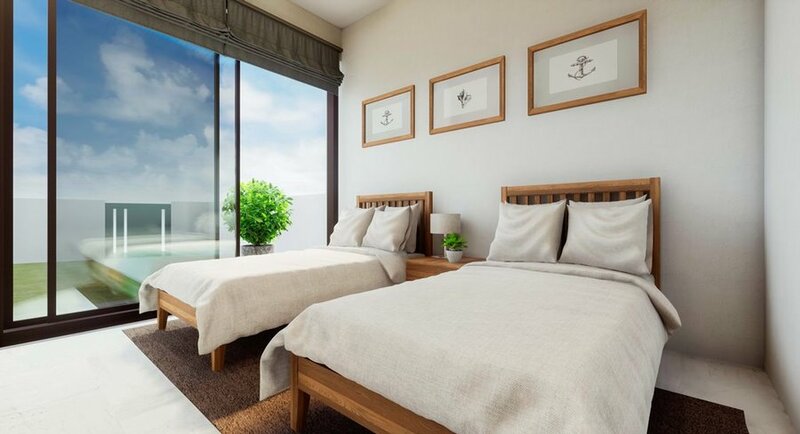 Back inside there are 2 large double bedrooms, both with fitted wardrobes, and 2 modern bathrooms. 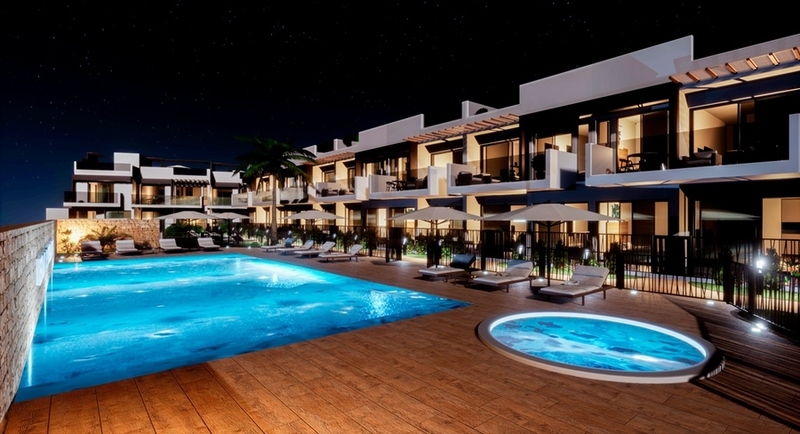 All of the properties feature hot and cold air conditioning as well as secure parking. 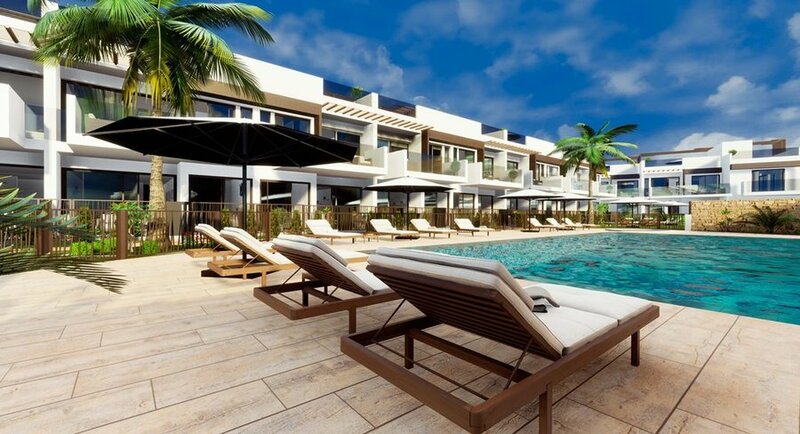 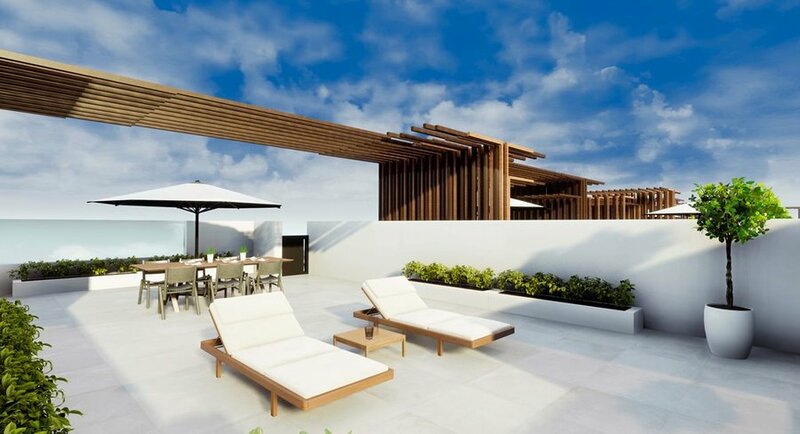 In the communal areas, there will be a mature planted garden and a large communal swimming pool and Jacuzzi to enjoy. 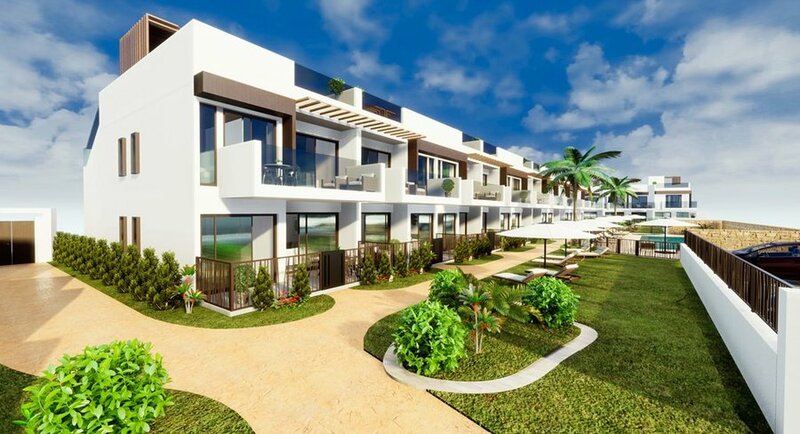 The development, located just on the outskirts of the popular Roda village is in a fantastic location, within the immediate village there are all the amenities you need, from the Cafes, restaurants, bank, weekly market, tobacconist & more. 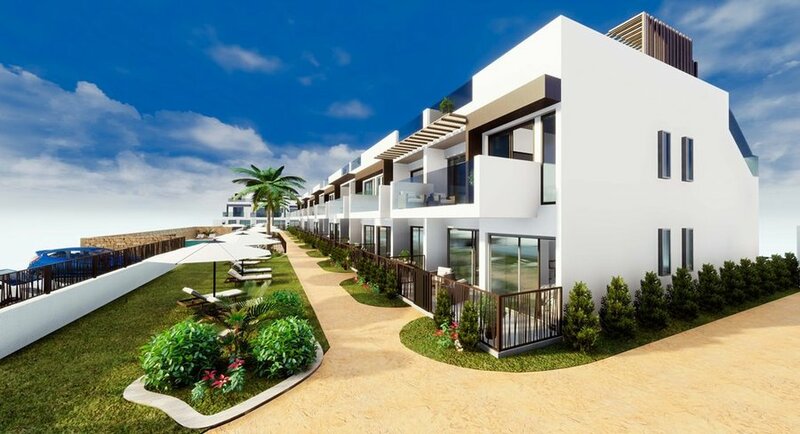 The nearby town of Los Alcazares just a few minutes away, Here you will find a great selection of Bars, Restaurants, Shops, and the beaches of the Mar Menor.